Loki, Norse god of mischief, has been banished to earth for a crime he may or may not have committed. 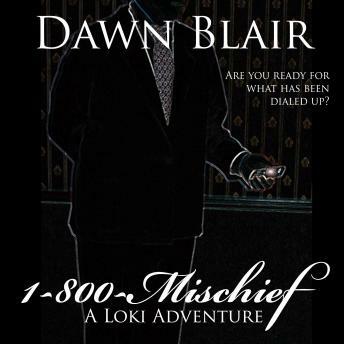 But he has a plan to regain his powers and return to Asgard to prove his innocence.If he isn't stopped first.While working his mission to save humanity, Loki discovers a plot against him.Who would dare to call up Loki's wrath? Why now?It all starts when he goes to help a girl with her abusive boyfriend who happens to be a transdimensional being. But as he searches for the reasons as to why this particular girl was chosen as a target, he finds himself lured into a bigger trap, one intended on breaking his banishment which would leave him powerless and within the grasp of his unfriendly kinsmen on Jotunheim.What is a god to do? This trickster is ready to play.